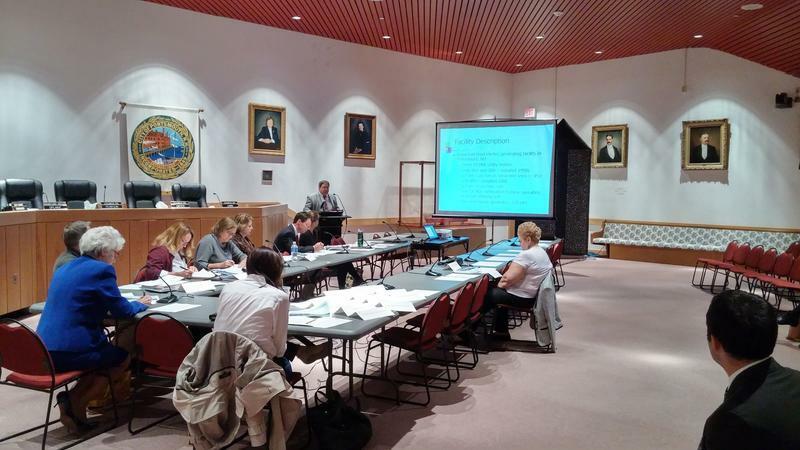 The cancer cluster taskforce met in October in Portsmouth City Hall as part of their months-long investigation. A bill to create a commission to investigate a string of pediatric cancer cases on the Seacoast received unanimous support from the House Committee on Health, Human Services and Elderly Affairs today. The bill also has the support of Governor Chris Sununu. The commission would take up the work of a now-defunct taskforce that was investigating the unusually high number of rare pediatric cancer cases on the Seacoast. That taskforce’s investigation raised concerns about environmental threats to public health in the region. NHPR reporter Jason Moon joined All Things Considered host Peter Biello to talk about the investigation into the cancer cluster. Mindi Messmer, a Democratic state representative from Rye, is lead sponsor of the bill. A separate bill to create a commission that would monitor public health data to detect future cancer clusters also received unanimous support from the House Committee on Health, Human Services and Elderly Affairs. The state Department of Environmental Services says a residential drinking well in Rochester has tested above the state limit for PFCs, a chemical contaminant.